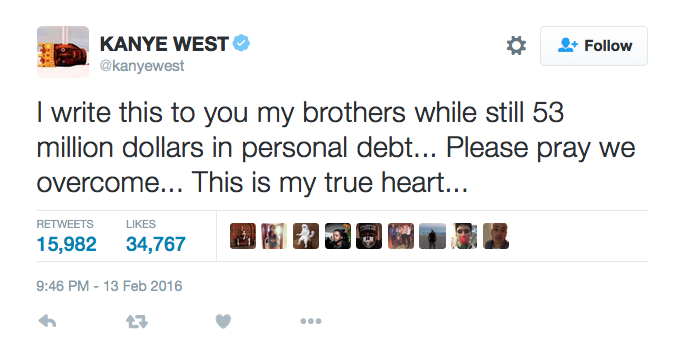 A GoFundMe page has raised more than $1,000 for struggling hip hop artists Kanye West. What’s unclear is whether the page is serious or not. But the comments left on the page – even from those donating $5 to West – make it clear there isn’t a lot of sympathy for the celebrity. “I donate negative 54 million dollars. Maybe his clothing line should not have looked like the bums in Compton designed them. How about we raise money to feed starving children here in America?? Hmmm.. What a thought.,” wrote Laurie Sanford.